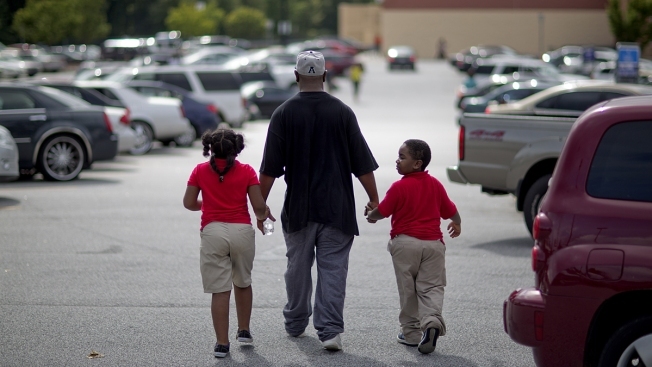 In this Aug. 20, 2013, file photo, students from Ronald E. McNair Discovery Learning Academy walk off with a loved one after arriving on school buses to a Walmart parking lot after they were evacuated when a gunman entered the school in Decatur, Ga. The incident, in which a school bookkeeper was able to convince an armed man to surrender to police, was depicted in a short film called "
With the shooting at Marjory Stoneman Douglas High School still fresh in the minds of many in the country, a pre-Oscars event Wednesday at the SoHo House in Los Angeles took on a more serious tone with a screening of the nominated live-action short "DeKalb Elementary." The film is based on a 911 call from a 2013 incident in which Antoinette Tuff, a bookkeeper at an Atlanta-area elementary school, was able to calm a 20-year-old man armed with a rifle and convince him to put his weapon down and surrender. Writer and director Reed Van Dyk, a UCLA graduate, made the 21-minute film with the help of a grant from the Princess Grace Foundation, which hosted Wednesday's screening and Q&A prior the Academy Awards Sunday. With only one setting, the film is a tense but inspiring recreation of this extraordinary interaction where a school office worker was able to effectively relate to and talk down a potential mass shooter. 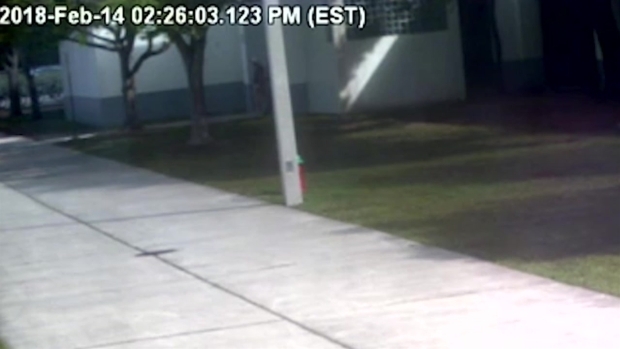 He had a rifle, 500 rounds and shot at police, but there were ultimately no casualties. "It's all very faithful to the real events," Van Dyk told the audience. He used the 12-minute 911 call and security footage to recreate the situation on film, but said he didn't talk to either Tuff or the intruder Michael Brandon Hill before or while making the film. Hill was later sentenced to 20 years in prison. One attendee said she came away from the film feeling almost empathetic for the intruder, which she said was a departure from how she feels when she's watching school shootings unfold on television. Van Dyk said he was glad his film didn't necessarily take a side. "My favorite films aren't necessarily message delivery systems," Van Dyk said. "There's nothing I'm prescribing for you to feel, that's something I tried not to do." He said he has no plans to make "DeKalb Elementary" into a feature-length film. When asked about the budget, Van Dyk said his publicist told him to say that, "It was more than one dollar and less than 'Avatar.'"